We all love a nice getaway from home. We have all worked so hard this year and 2016 is soon coming to an end. Why not pamper ourselves with a staycation in some of these hotels in Singapore that UnionPay has specially arranged for its cardholders. You don’t even need to leave Singapore to have a good time. As long as you are a UnionPay cardholder and your UnionPay card number starts with 62, you wouldn’t want to miss out staying at some of these hotels in town as well as in neighbourhoods where you can soak in the atmosphere. If you reside in Singapore, UnionPay Debit and Credit cards are issued by Bank of China, DBS, ICBC and UOB. UnionPay cards are accepted at over 80% of merchants in Singapore and almost all ATMs islandwide. If your UnionPay card is QuickPass enabled, you can pay by only tapping your card at over 300,000 contactless payment terminals available in Hong Kong, Macau, South Korea, Taiwan, Australia, New Zealand and Singapore. Singapore is the first country in Southeast Asia to launch QuickPass. Locally, you can pay with QuickPass at popular merchants including Eu Yan Sang, Hockhua, SaladStop! and Providore islandwide. Enjoy the luxury expected of a Ritz-Carlton hotel when staying at The Ritz-Carlton, Millenia Singapore. Take a bath in the hotel’s signature bathroom with its large hexagonal windows and enjoy breathtaking views of the Marina Bay. Located in a prime address, the Ritz-Carlton Millenia Singapore is just walking distance to nearby malls such as Marina Square, Suntec City and Millenia Walk. The Esplanade Theatre is nearby so you can catch a concert or performance. 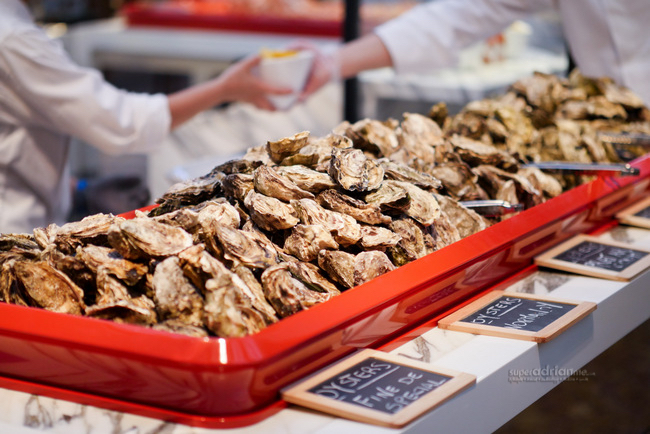 You have to dine at Colony which offers a very impressive spread on its buffet tables be it for breakfast, lunch or dinner. A personal favourite is the One Michelin Star Summer Pavilion where you can enjoy contemporary Cantonese dishes. Classic, Gold and Platinum cardholders get a complimentary fourth night stay when booking a stay of at least three nights at the Best Available Rate from The Ritz-Carlton, Millenia Singapore official website. Diamond cardholders receive a complimentary third night when booking a paid stay in club room or suite and above of at least two nights. Club Room and Suite guests get exclusive access to The Ritz-Carlton Club Lounge which is open from 7am to 11pm daily. Other privileges include complimentary limousine service in the vicinity from 7am to 10pm when available, complimentary pressing or steaming of clothes upon arrival within an hour, complimentary coffee or loose-leaf tea served direct to guest room upon request at any time of the day within 10 minutes amongst others. Book through http://www.ritzcarlton.com/en/hotels/singapore with a special rate code “731” for UnionPay Classic, Gold and Platinum cards and “732” for UnionPay Diamond Cards. The Quincy Hotel by Far East Hospitality is located on 22 Mount Elizabeth. Just walking distance to Orchard Road or Scotts Road, The Quincy offers 26sqm Studio Rooms as well as contemporary 32sqm Studio Deluxe Rooms. The well-appointed rooms feature complimentary in-room mini bar, coffee and tea making facilities, feather beddings and 400-thread count sheets and unlimited Wi-Fi access. Besides offering rain shower in the bathrooms, there is also a bathtub where you can soak and relax. Enjoy 10% off Best Flexible Rate at The Quincy Hotel when you book your stay at www.stayfareast.com/unionpay. 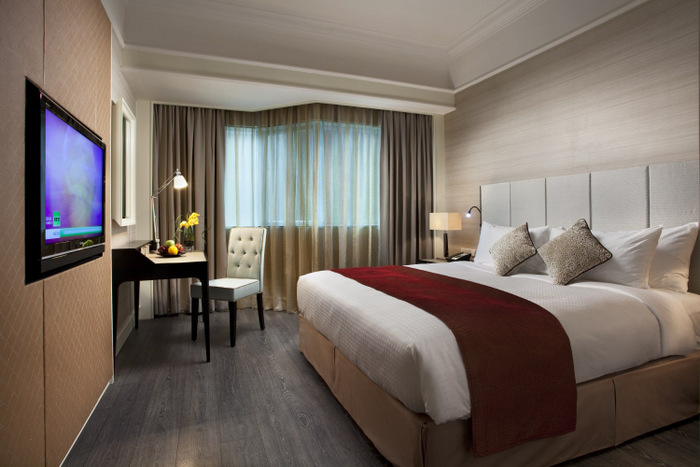 The Elizabeth Hotel is located in the heart of Orchard Road in a private and exclusive enclave on Mount Elizabeth. 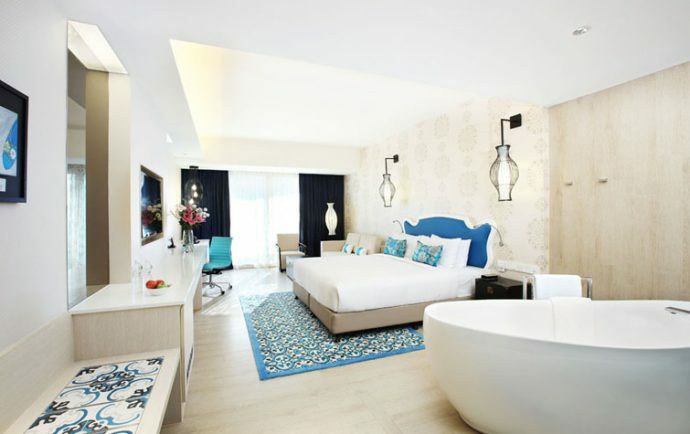 The hotel is designed with a distinct European accent with a modern take on a classical era. It is walking distance to the shopping belt. Enjoy 10% off Best Flexible Rate at The Elizabeth Hotel when you book your stay at www.stayfareast.com/unionpay with the promo code UP2016. Orchard Parade Hotel is located on Tanglin Road, at the beginning of Orchard Road. Major malls and designer boutiques are just minutes away on foot. 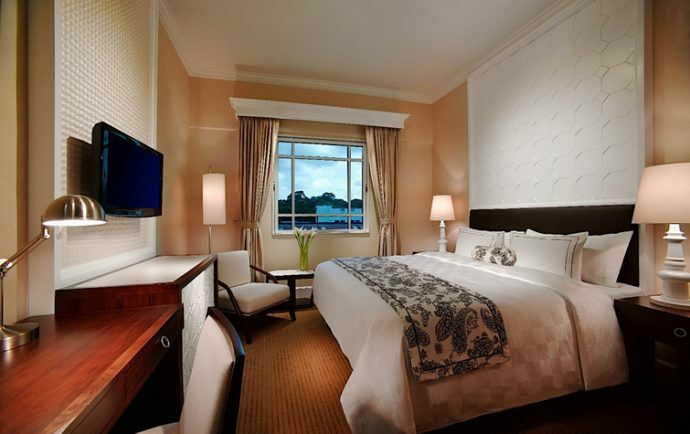 The hotel offers a choice of Superior Rooms, Deluxe Rooms, Premier Rooms, Club Rooms, Club Suites, Family Rooms, Family Suites and Premier Suites. The rooms here measure 30 to 68 sqm. Enjoy 10% off Best Flexible Rate at Orchard Parade Hotel when you book your stay at www.stayfareast.com/unionpay with the promo code UP2016. Located at 9 Bras Basah Road, Rendezvous Hotel Singapore is just walking distance to downtown educational institutions such as School of the Arts (SOTA), Singapore Management University (SMU). 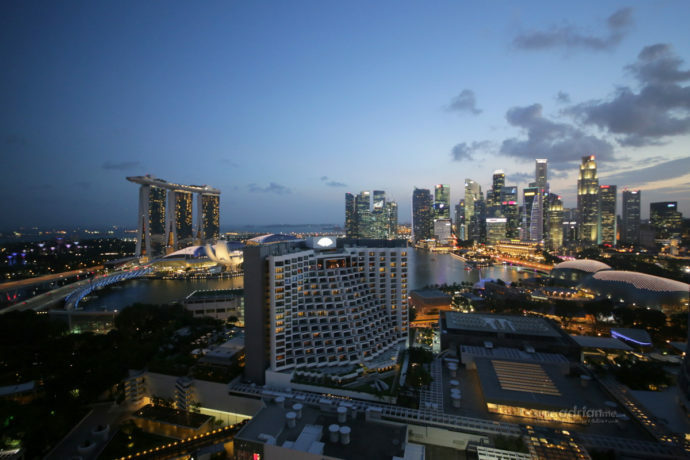 The hotel is also within close proximity to museums such as the National Museum of Singapore or Singapore Art Museum. Malls such as Plaza Singapura, The Cathay and Raffles City are all within walking distance putting Rendezvous Hotel Singapore in a prime location. You may also want to catch a movie at The Cathay or Plaza Singapura at midnight and walk back ‘home’ after that. How convenient! Enjoy 10% off Best Flexible Rate at Rendezvous Hotel Singapore when you book your stay at www.stayfareast.com/unionpay with the promo code UP2016. Concorde Hotel Singapore is located on Orchard Road and within walking distance to the Istana which is also the official working place of the Singapore President. Next to the Istana is Plaza Singapura shopping centre and Dhoby Ghaut MRT station. The other end of the hotel will lead you towards Orchard Central, Centrepoint and [email protected] amongst other shopping malls. 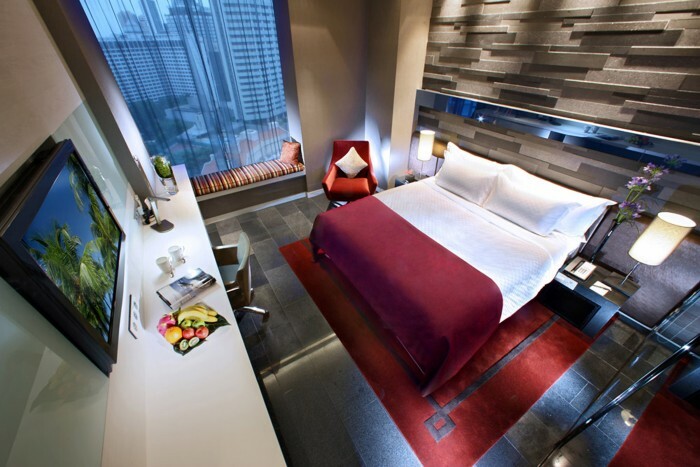 Enjoy access to the Premier and exclusive upgrade to the Premier Suite from S$264++. The Rate comes with complimentary use of Handy Smartphone, Wi-Fi connectivity for multiple devices, Mini Bar, Breakfast at Spices Café or the Premier Club Lounge, 15% discount at Hard Rock Café Orchard, early check-in subject to availability, complimentary departure airport transfer when you stay a minimum of three nights. This rate is not available from 24 to 31 December 2016. 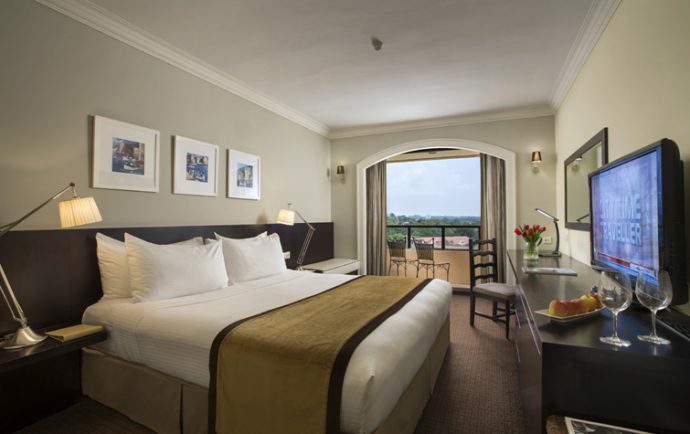 Village Hotel Changi offers an escape from the busy city life. Live like a local here where you can soak in the sea breeze as well as airplane watch as they take off or land at the nearby Changi Airport. Enjoy complimentary shuttle service between the hotel and Changi Airport or the spectacular views when you swim at the infinity pool. Enjoy 10% off Best Flexible Rate at Village Hotel Changi when you book your stay at www.stayfareast.com/unionpay with the promo code UP2016. Stay in Village Hotel Katong where you can soak in the Straits Chinese culture and food. The modern rooms here are spacious and well designed with bright accents and Peranakan-inspired touches that reflect the strong heritage of the surrounding Katong district. The balcony in the rooms is a nice touch since it is hard to come by at the newer hotels these days. And if you stay in a Peranakan Club room, it comes with a bathtub that helps you to wind down. There’s a supermarket within the hotel building which makes it really convenient. The neighbourhood is also home to many famous food outlets. Enjoy 10% off Best Flexible Rate at Village Hotel Katong when you book your stay at www.stayfareast.com/unionpay with the promo code UP2016. 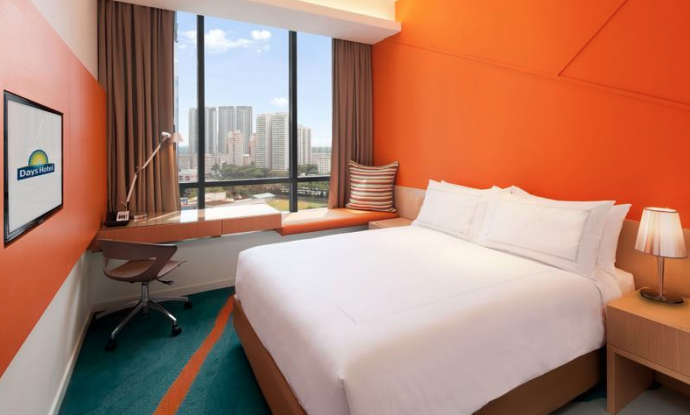 Located at Zhongshan Park in the Balestier neighbourhood, Days Hotel Singapore offers comfortable accommodation with amenities such as free Wi-Fi, premium Serta mattress, cable television. Besides the all day dining restaurant 21 on Rajah at Days Hotel Singapore, there are many food and beverage options in the neighbourhood where you can enjoy local favourites such as chicken rice, bak kut teh (Pork Rib soup), Tau Sar Piah (pastries), soya beancurd and more. Enjoy 10% off Best Available Rate plus breakfast for two. Email [email protected] or call +6568086838 and quote “UnionPay” to book. Or you can also book via www.daysinn.com with the promo code “LKGF”.